A new clip from Warner Bros. Animation and DC Entertainment‘s upcoming Justice League Dark has debuted in this week’s DC All Access, starting at the 2:38 mark in the player below, along with an interview with Matt Ryan and Jason O’Mara. Check it out below! 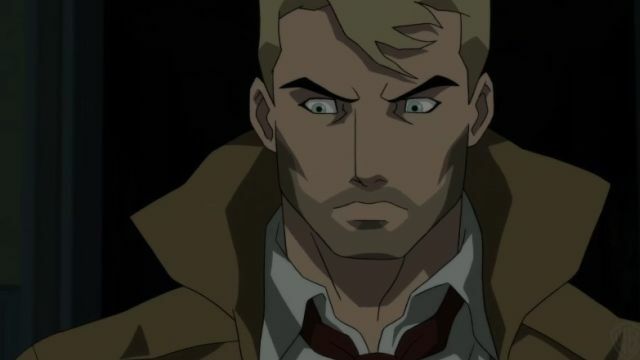 Actor Matt Ryan returns to the role of John Constantine in animated form alongside Jason O’Mara as Batman, Camilla Luddington as Zatanna, Nicholas Turturro as Deadman, Ray Chase as Jason Blood/Etrigan, Roger R. Cross as John Stewart/Swamp Thing, Jeremy Davies as Ritchie Simpson, Rosario Dawson as Wonder Woman, Jerry O’Connell as Superman, Enrico Colantoni as Felix Faust, and Alfred Molina as Destiny. Justice League Dark is directed by Jay Oliva (Batman: The Dark Knight Returns). Story by J.M. DeMatteis and Ernie Altbacker (Green Lantern: The Animated Series) and teleplay by Ernie Altbacker. Sam Register is Executive Producer. Benjamin Melniker & Michael Uslan (The Dark Knight trilogy) are co-executive producers. James Tucker (Batman Bad Blood, Batman: Return of the Caped Crusaders) is Supervising Producer. Justice League Dark will debut digitally on January 24, 2017 and on DVD and Blu-ray on February 7, 2017.